There’s something wonderful about your first night in a new city, that excitement of exploring and finding your new ‘local’. It’s almost overhwleming coming from Perth to Brunswick and seeing just how much there is in our new little corner of the world! 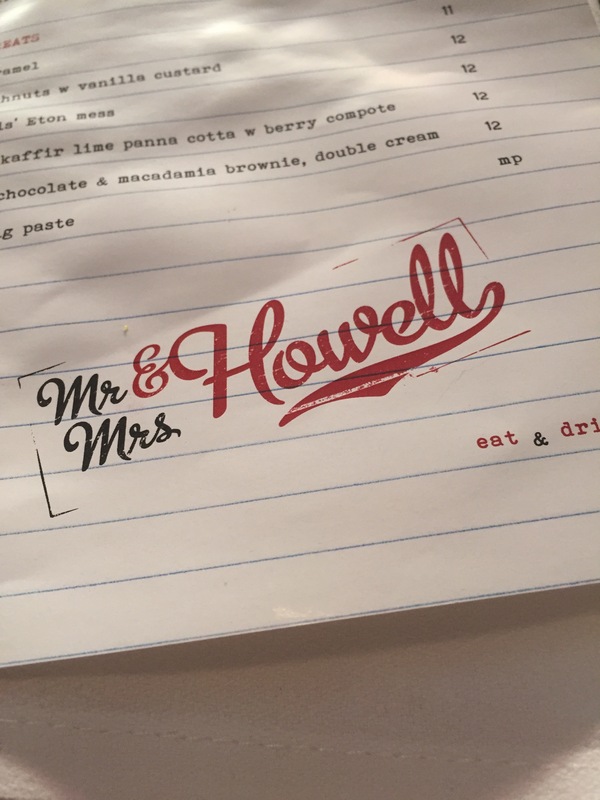 To say we were excited was an understatement, so we decided to start closest and work our way out, beginning at the hipster cool eatery, Mr and Mrs Howells on Sydney rd. The interior was narrow but pleasant, with sunlight streaming in from the big front windows. 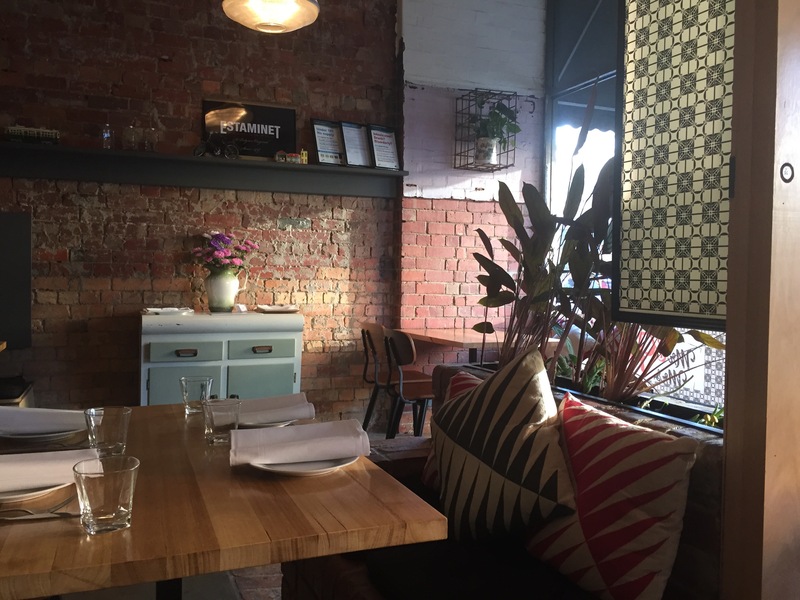 The feel was casual with a vintage cool fitting with the hipster brunswick area. We were served promptly and given a menu full of delicious things to choose from and selected a rose to enjoy while we perused. 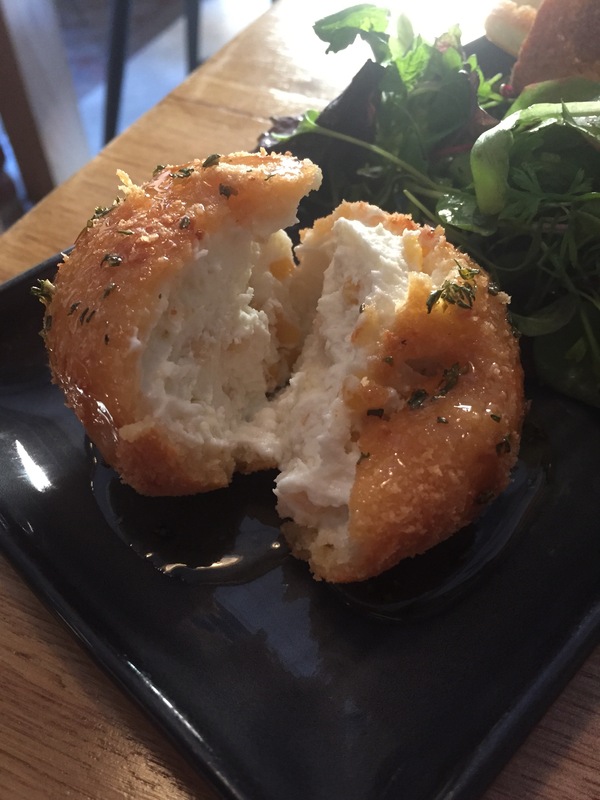 We’re a little obsessed with goats curd right now and couldn’t help but order the almond crusted goats curd with honey for an entree. It was oozing, sweet and sticky with a light warmth. The curd was easy to spread onto the bread crisps and felt like a moment of bliss in your mouth. 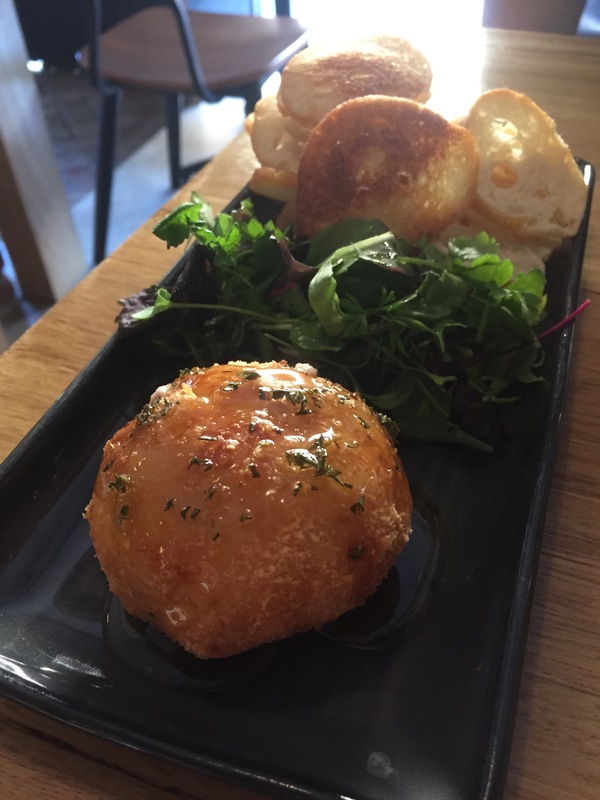 A truly wonderful way to start our meal. 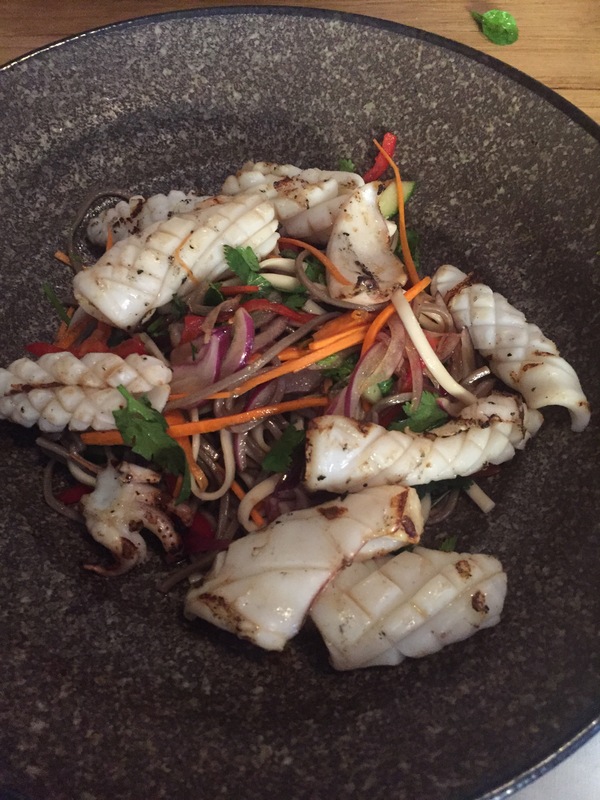 The first of our main meals was the calamari and soba noodle salad. This was quite a cold dish with the noodle and herbed salad and while tasty not a particularly memorable or knock out dish. 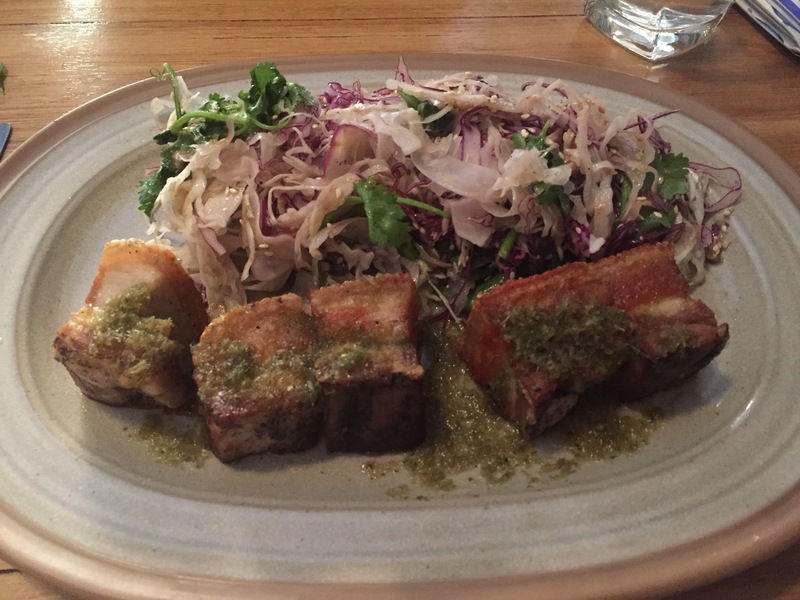 Our second dish was the pork belly with a crispy, cabbage salad. Pork belly is notoriously popular right now and this means sometimes dishes aren’t fully formed or realized and we were thrilled this dish really nailed it. The pork belly was sweet and a bit sticky, the crackling was perfect and the meat melted in your mouth. The accompanying salad was beautifully light and crispy, we loved the addition of sesame seeds and a light dressing. This was a wonderful dinner dish! We couldn’t turn down dessert despite having full bellies, and elected to share the eat and mess. A delight of creamy, crispy, sweet and sour, this dessert really stole the show. 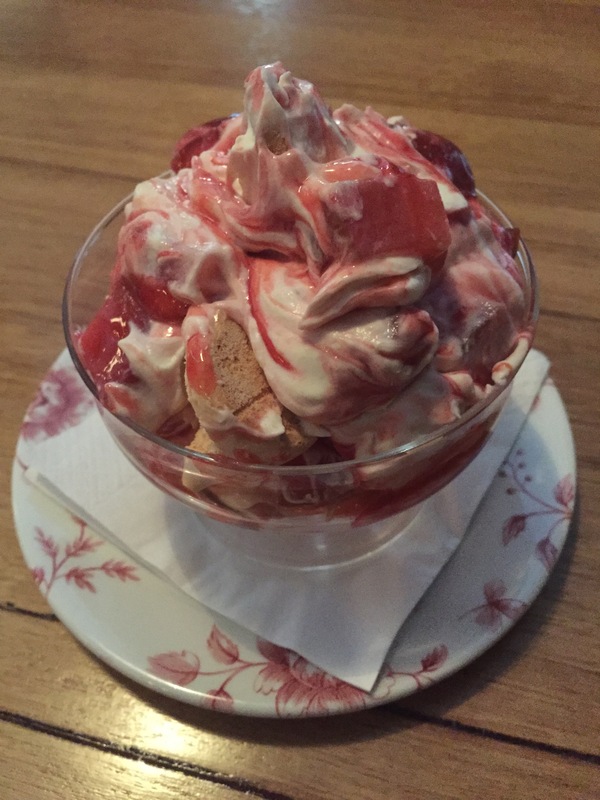 The use of sour cherry was absolutely perfect, and the meringue was crispy and chewy, the dish as a whole was a flavour explosion in each bite and we wouldn’t recommend passing up the opportunity to try it! 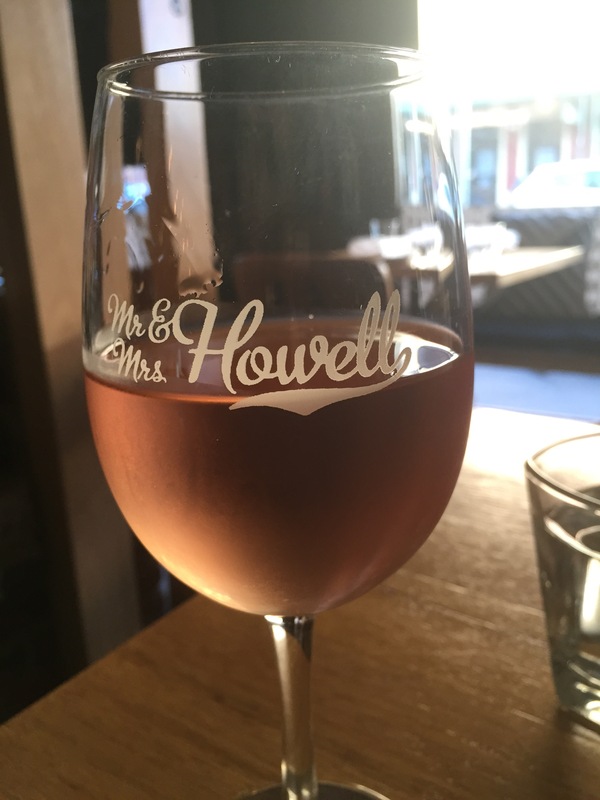 Mr and Mrs Howells really delivers on flavour and style and was the perfect way to start our Melbourne food adventure!